The ruling Zanu PF party has come under increasing pressure over the politicization of cyclone idai aid with one of the Presidential Advisory Council members describing aid looters as heartless and corrupt politicians who must be brought to book. 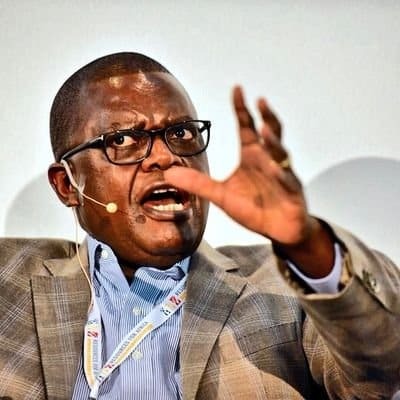 Alpha Media Holdings (AMH) owner who is also a member of the Presidential Advisory Council, Trevor Ncube raised concern over reports of cyclone idai being politicized by Zanu PF politicians. “The distribution of Cyclone Idai donations must be left to NGO’s on the ground and not politicians. The heartless and corrupt Zanu-PF politicians seeking to profit from this crisis must be brought to book,” Ncube wrote on his Twitter account Tuesday night. The opposition MDC yesterday described aid looting allegedly by Zanu PF as devilish. “The citizens of the motherland came together and made sacrifices in an attempt to help fellow countrymen get back on their feet. It is shameless and evil for the party which failed the people of Manicaland to be raiding the aid. “They lack concern and heart which is why they flew leather couches to sit comfortably in a crisis and mourning zone,” party spokesperson Jacob Mafume said. However, reached for comment Zanu PF spokesperson Ambassador Simon Khaya Moyo knocked down the allegations albeit revealing that some people from his party went to the ministry of local government offering to assist food distribution on the back of road destruction that made it difficult for vehicles to reach out to the victims. “That is absolutely nonsense actual. I had the minister of local government yesterday briefing the senate on the situation in Manicaland on the aftermath. The position is very clear. No party is involved in the distribution of aid. “And the people volunteered, because no big trucks could go there, people volunteered to take food to those places because people were dying and some of the few Zanu PF people went to the ministry of local government to say they have got cars and can they assist. One or two cars I believe were written Zanu PF. “The whole exercise is coordinated by the ministry of local government and people out of their empathy were volunteering to give assistance since food was not reaching to the people. But they were told afterwards that we appreciate your offer but we are not going to be allowing any political party to be involved anymore,” Khaya Moyo said.